Will we be able to paint our houses using this solar cell paint, and then forget about electric bills? 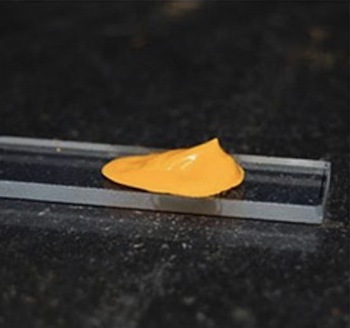 A team of researchers at the University of Notre Dame are getting close, creating an inexpensive "solar paint" made of cadmium sulfide-coated titanium dioxide nanoparticles. "We want to do something transformative, to move beyond current silicon-based solar technology," says Prashant Kamat, John A. Zahm Professor of Science in Chemistry and Biochemistry and an investigator in Notre Dame's Center for Nano Science and Technology (NDnano), who leads the research. "By incorporating power-producing nanoparticles, called quantum dots, into a spreadable compound, we've made a one-coat solar paint that can be applied to any conductive surface without special equipment." Black Power, they call it. It turns sunlight into electricity, just like any solar power converter, but you spray it on.